Pick & Place system to feed hig speed wrapping machine for confectionery products. Wrapping Machine for household chemical compressed powder tabs, soup cubes, milk powder cubes, food supplements or similar products. The combination of our reliable packaging machines and various feeding and storage components allows us to offer sophisticated and customised systems for preliminary wrapping. The FPC5, comprising an AZO powder feed and a Romaco Kilian press, forms a high-performance total solution for powder or granulate compression into tablets with subsequent primary packaging into flow packs. Theegarten-Pactec, specialist manufacturer of customised packaging machines for practically any product type, can pack your products, whether small-sized confectionery items, foodstuffs such as stock cubes or non-food articles such as dishwasher tabs. The Dresden-based company supplies complete all-in-one system solutions - from product feed to primary packaging. At interpack 2017, Theegarten-Pactec presents its star trade fair attraction, a total solution for powder or granulate compression with subsequent primary packaging into flow packs. The system combines the proven FPC5 packaging machine with units from AZO and Romaco Kilian. At the heart of the total system on display is the FPC5 high-performance packaging machine, which packs confectionery and non-food articles into flow packs at the rate of 1,500 products per minute. The packaging machine combines an AZO powder feed with a Romaco Kilian press unit. With all interfaces of the individual system components configured to work together, production and packaging process efficiency is guaranteed. For example, if the powder feed is too low in terms of volume, both press unit and packaging machine speeds drop automatically. At the trade fair, the system will first compress powder into tablets and then pack them. As well as handling effervescent tablets or other confectionery products, the system is also ideal for packing other items, e.g. stock cubes or non-food articles like dishwasher tabs. Products made by compressing powder or granulate are extremely sensitive and so require especially careful handling during the manufacturing and packaging stages. With this in mind, Theegarten-Pactec has opted for reliable feed and processing systems for the total solution. Powder feed is handled by a system from AZO, which conveys the powder by means of pneumatic aspiration delivered by vacuum pumps. The vacuum principle ensures low-volume dust production, which can be additionally reduced by fitting an exhaust unit on to the feed hopper itself. It is a simple matter to set individual, product-specific parameters to ensure that the dry bulk is conveyed gently to the Romaco Kilian press. The KILIAN KTS 1000 press handles powder in a precisely measured volume dosage operation. The FPC5 is directly coupled to the delivery point of the press. Product separation is achieved by the twin-track design, which guarantees the high-performance rate of 1,500 items per minute, even with short, sensitive products such as grape sugar. For input into the FPC5, the separated products are united on one track. In this way, it is always possible to set the machine to enable products also to be grouped for multi-item packaging. Integration of a chain module in the packaging machine enables the manufacturer to create a wide variety of packaging options for the point of sale. This entails a second transverse sealing unit which separates a product chain in terms of a defined number of products. The packaging material is perforated along the transverse seal flap so that individual products can easily be torn off. It is also possible to pierce a hole into the last transverse seal flap to enable the product to be suspended from a suitable point on the sales shelf. The whole system has easy access for servicing and cleaning work. This ensures that the highest hygiene standards are met. If necessary, the FPC5 can also be combined with other units. Complete retooling at a later date is also possible. An innovative partner for producers, Theegarten-Pactec provides customers with holistic solutions drawn from many years of experience and collaboration with acknowledged market leaders. The company bundles the skills of selected specialists in the various fields of process technology and secondary packaging. Customers benefit from a total single-source solution which integrates all the processes of a product line. Machine maintenance schedule shows preview of planned maintenance measurers / cleaning tasks and different escalation levels. The operator is guided through the maintenance process by selecting the tasks. At this years interpack 2017 Theegarten-Pactec will be proudly presenting their solutions in the field of digitalization and machine networking. In future, customers will have all the advantages of a new user interface concept, making machine operation a great deal easier. As well as intuitive control of the machines by way of touchscreens, this will include mirroring of the interface onto mobile terminals too. As part of the ChoConnect co-operation project, the company will also be demonstrating, in the form of a practical example, how machines from different manufacturers can be linked together in one line, thereby delivering a major boost to efficiency of the line as a whole. As far back as interpack 2014, Theegarten-Pactec were already exhibiting the latest in modern operating systems and possibilities for the networking of packaging machines and packaging lines. Since then, the company has powered ahead with developments in this sector, so that all the machines on the Theegarten-Pactec stand are now fitted as standard with the new machine control system and the new concept user interface. The larger display and the intelligent presentation of data allow for an excellent overview and easy operation of the machines. Even less experienced operators can control the line with complete confidence, thanks to the intuitive display of the machine status and the procedure instructions. The machines are equipped with sensors for this purpose, which make the data available for assessment. This includes aspects such as the support of maintenance and cleaning processes and active indications of service and maintenance intervals by way of the machine itself. Thanks to integration of the user interface in mobile terminals, it will be possible in future for the machine data to be called up and processed from anywhere in the world. This means that customers can access important data at any time, such as machine status, run times, cleaning and maintenance cycles, or machine efficiency. Users can then specifically have significant sensor and machine data, such as air humidity and yield, displayed graphically in correlation to one another, before drawing conclusions with regard to any adjustments necessary, and so ensure high productivity. “Making production processes transparent, being able to call up important data any time at all, analyze it correctly, and then being able to initiate the right operational steps, all provide huge potential in boosting efficiency”, says Managing Director Markus Rustler. This also includes further development in the direction of self-diagnosis and guides to fault rectification, trouble-shooting, and cleaning by way of touchpanels and graphic representation on the display. As well as this, medium-term aims are achieving condition monitoring and further improved analysis of production data, such as overall system efficiency and utilization levels. Other areas of interest are self-regulation of the machines, for example if products are in an incorrect position in the packaging process, or even easier format changeover. In addition to all this, Theegarten-Pactec are also exhibiting solutions for the networking of complete systems. So as to offer customers a total package, the company has secured co-operation agreements with partner concerns as well: within the framework of the ChoConnect project, Theegarten-Pactec are presenting, together with Winkler Dünnebier, Sollich and Chocotech, Loesch Verpackungstechnik, and Bosch Rexroth, possibilities of cross-manufacturer, machine-to-machine communication. The solution presented here networks a production line for chocolate which is made up of machines from the partner companies. The machines, linked in a chain by advanced communication technology, can be run and controlled by just a few operators, or even only one, by way of a single terminal or a mobile terminal unit. 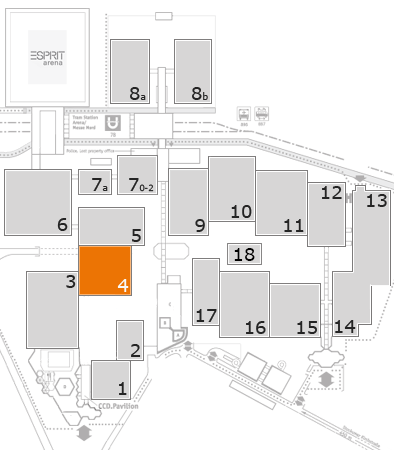 Visitors can gain an overall picture of this practical example of technology at work across the different stands, including on the Theegarten-Pactec stand, in the Industry 4.0 section. Theegarten-Pactec is an established name in the industry. As one of the world's leading manufacturers in the packaging technology sector, we develop high quality and intelligent packaging machines for small-sized confectionery products and other foodstuffs, such as stock cubes, as well as for non-food items, e.g. detergent tablets. Theegarten-Pactec is known for innovation and the prompt response to customers wishes for premium quality. Based on the values and knowledge of a traditional family business — now being led in its fourth generation by Markus Rustler and Dr Egbert Röhm — the principles of mutual respect and trust play a major role in Theegarten-Pactec's corporate culture - vis-à-vis both our customers and our employees. They are the ones who carry on the company's tradition and live our values. With their know-how and technical expertise, they make Theegarten-Pactec unique and contribute decisively to the companys success.